Easily add the most popular mix-in treat menu item to your self serve shop! 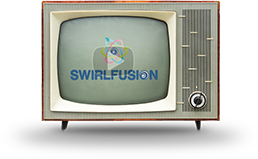 SwirlFusion, produced by a leading frozen dessert blender manufacturer, streamlines frozen dessert blending with exclusive Sugar Creek and Honey Hill Farm settings and automatic cycles. Engineered for outstanding durability and convenience, the machine is incredibly easy to operate and maintain. No longer just a theory – check out the video above to see how easy SwirlFusion really is!